Spotlight on Inspire U.S. - Inspire U.S.
We hope you are enjoying time with family and friends this holiday season. Our December newsletter highlights Inspired Leaders in West Virginia and gives you a reason to Smile. Since the election, our students have hosted more than 21 voter registration drives to register their newly eligible peers to vote. We are gearing up for a strong Spring in 2019. Here are some highlights from last month's election. 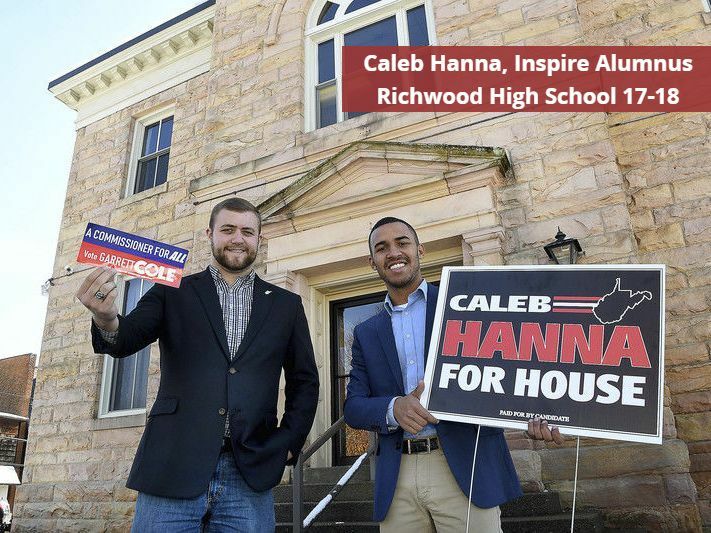 There are some new young faces in the WV House of Delegates and one of them is our Inspire Alumnus, Caleb Hanna. 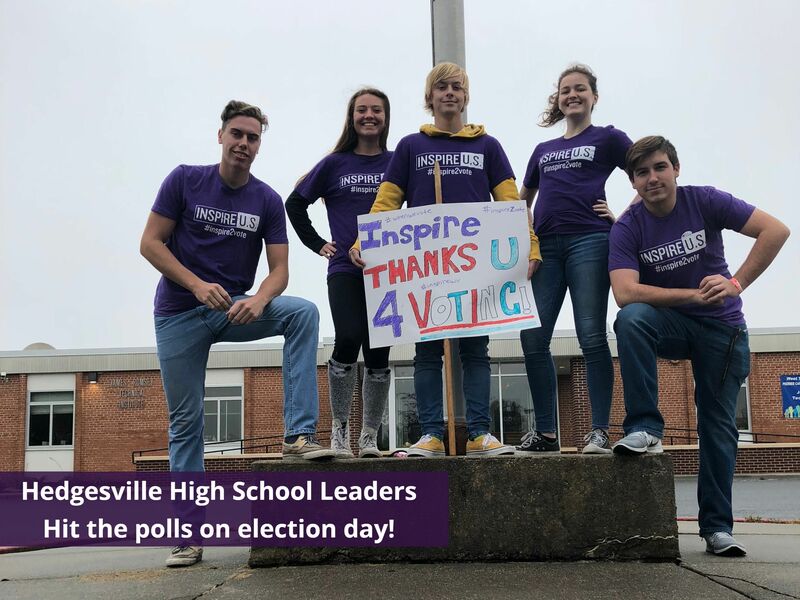 Inspire leaders Get Out the Vote and thank voters on election day. What's on the horizon for Inspire? Alumni Focus Groups- We are arranging multiple meetings with our alumni in December to ask their opinion on various things like best messaging language and how to stay connected after graduation. Staff Retreat- We are hosting our annual staff retreat in early January to plan for 2020. December Giving- If you're doing holiday shopping on Amazon, please use Inspire's Amazon Smile account to help support us. Help us grow our Inspire family this month and forward this email to friends/family. Thank you for your continuing support. To donate again, please click on the Donate button for credit card payments or write a check and mail it to our address listed below.